It has lots of ideas for you basic trash. I'm excited to try some stuff out! And don't forget this week's giveaway and artist interview: HERE! Oh my goodness. 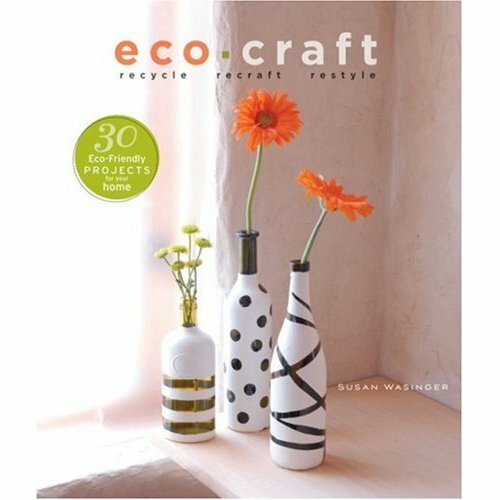 I checked out that Eco Craft book from the library here a couple months ago. I ended up doing several different projects from there, and they are really cool. I especially liked using old milk and juice jugs to make really cool candle or lamp shades. Good find! I did the vases on the cover too. They're pretty cool. 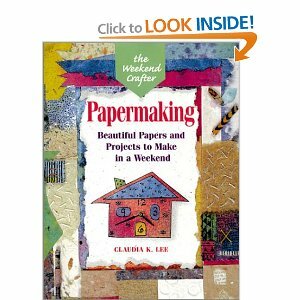 I make home made paper with my pre-k kids, I made a deckel out of scrap wood and screen. We tear up paper that is in the recycle box and soak it in warm water. I have an old blender that I use to to make to pulp or surry. Put it in a plastic pan and dip the deckel in. After you flip it out on a towel, use a sponge to soak up the water. We put flower seeds in some, glitter and sparkle in others. We make stationary for our moms! I need to check out these books!